For 1960, the 300F was again available in convertible and hardtop body-styles. 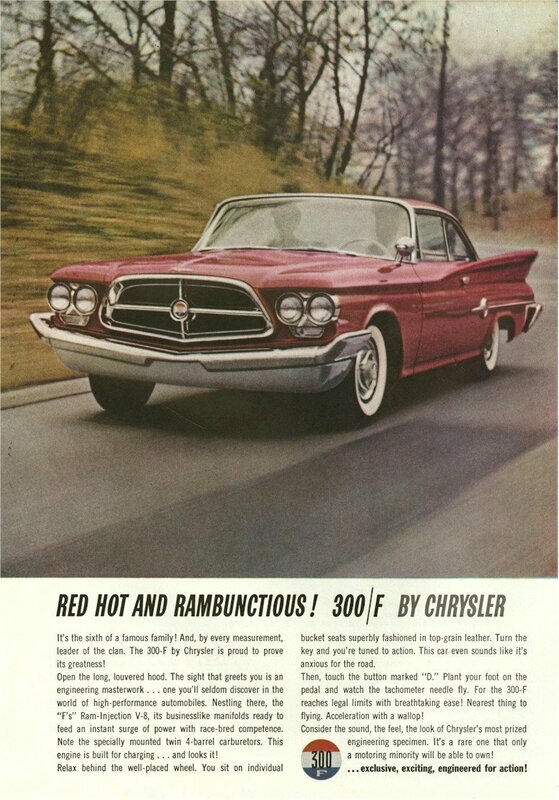 Chrysler increased horsepower for the first time since 1958 introducing a new ram-inducted 413 cid Wedge V8 which boasted 375 bhp in standard form and a whopping 400 bhp as an option backed by a four-speed manual gearbox. 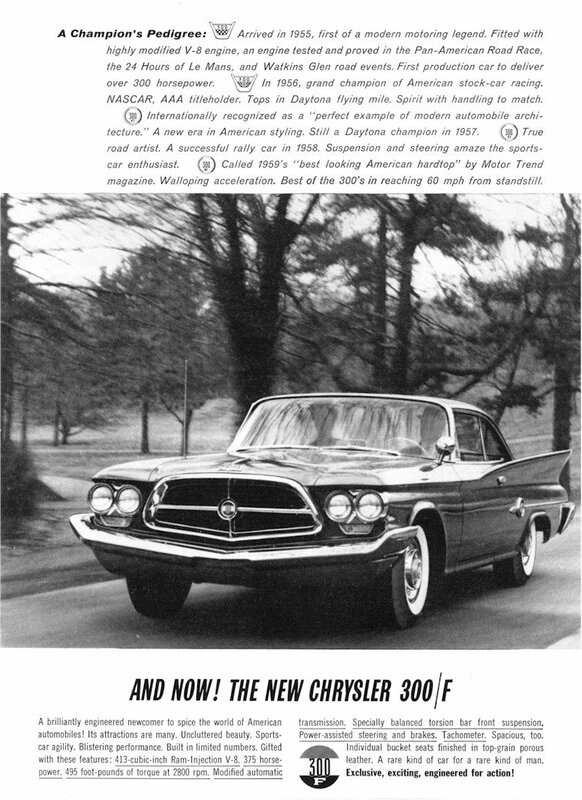 These changes were successful yielding a 75% sales increase over the 1959 model year. The 300F was also sported an exotic ram induction intake manifold system with 30-inch induction tubes placing the carburetor feeding each bank of cylinders out beyond the rocker cover of the opposing cylinder head. The new induction setup gave away five horsepower to the previous year's inboard carburetion but added 45 foot pounds of torque at 800 rpm lower.